In March this year South Africa’s highest court upheld a landmark investigation by the courageous Public Protector Thuli Madonsela that showed how taxpayers’ money had been used to upgrade President Jacob Zuma’s personal residence. This underscored the importance of the role of the Public Protector in holding those in power to account. It is the independent office charged with investigating improper dealings within government, including the abuse of public money. And it must remain independent. 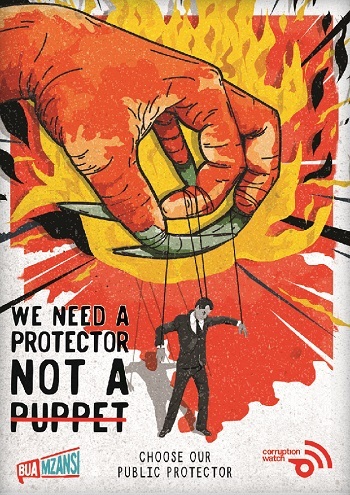 That is why Corruption Watch, Transparency International’s partner in South Africa, is launching a campaign to make sure that the next Public Protector has the same independence as Madonsela. When the current Public Protector’s non-renewable term ends in September this year, Corruption Watch will do all it can to ensure Madonsela’s successor takes impunity as seriously as she does. Find out more about Corruption Watch’s Public Protector campaign, Bua Mzansi. We are naturally delighted that the Constitutional Court has decided that the findings of the Public Protector are binding … however, we also contend that the president has always been under an ethical obligation to defend and promote the work of institutions like the Public Protector, an obligation that he and senior ministers of state have long flouted. The judgment sends out a strong message that being politically powerful – even being the president of a country – will not get you off the hook if you abuse your position and public resources. 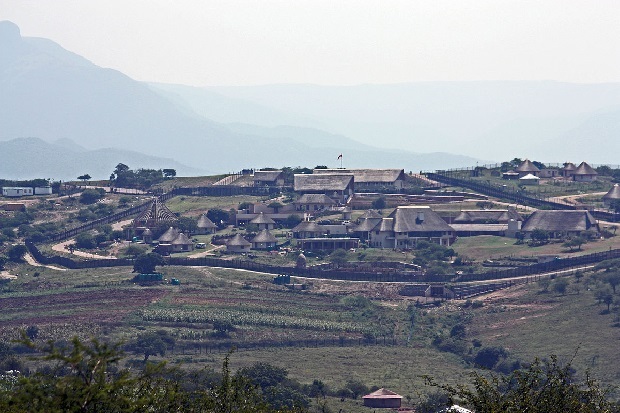 The court found that President Jacob Zuma violated the constitution for choosing to ignore the findings of Madonsela’s independent investigation into the upgrade at his Nkandla residence – a project that racked up a bill of more than US$16 million. South Africa’s Chief Justice Mogoeng Mogoeng in the court ruling. Madonsela was the recipient of Transparency International’s Integrity Award in 2014. Her investigation focussed on aspects of the revamp – including adding a swimming pool, clinic, visitors’ centre and chicken run – which the government said were necessary to bring the security at the residence up to scratch with past presidents’ homesteads. In her report, Madonsela found that many of the ‘’security upgrades’’ went beyond what was reasonably required for a president’s safety, unduly benefited the Zuma family and amounted to a misappropriation of public money. She recommended that Zuma pay back the money spent on these. But the government hit back, saying that the Public Protector’s powers were not binding and subsequent government-led probes cleared the president of all liability to pay up. Political opposition parties contested this in court and Corruption Watch joined the case as an amicus curae (friend of the court) to seek clarity on Madonsela’s powers. In a stunning victory and show of judicial independence, the Constitutional Court, following Corruption Watch’s submissions, ruled that the remedial powers of the Public Protector were binding, subject only to judicial review. Accordingly, it held that Zuma had failed to uphold his Constitutional duties in dealing with the findings of Madonsela’s report and that he now had no choice but to pay back the money. The fight has only just begun. We want all South Africans to join us.